The simplest method of communication with website clients. 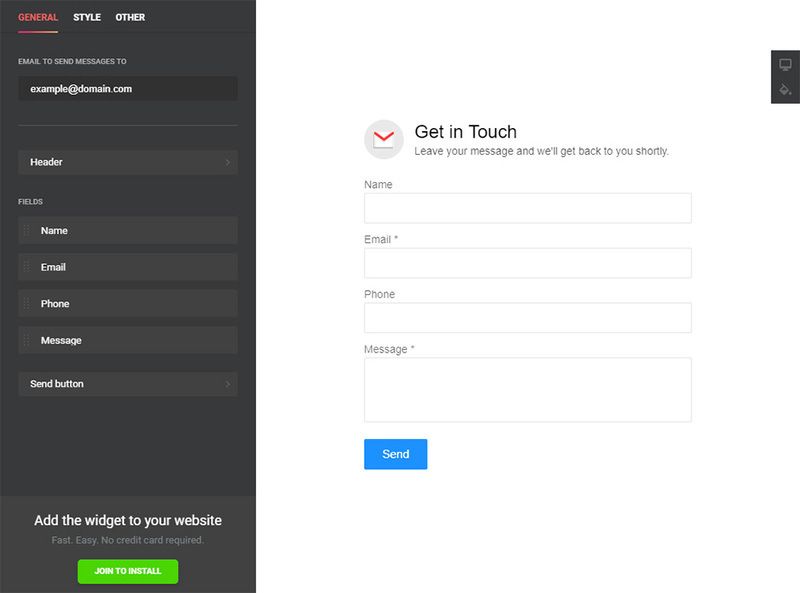 Elfsight iFrame contact us form plugin – helps with all possible current needs in collecting feedback and requests from customers of your website. Display fields necessary for filling, find the required layout and adjust the appearance, to stimulate visitors for leaving requests or sending questions. Collect reviews, get orders and answer questions of your website users! Keep permanent interaction with probable clients night and day with the help of a convenient form on your site and find visitors who are ready to order. Questions, queries and opinions about your goods or services are one more chance to see the demands of your audience and effectively develop your company. 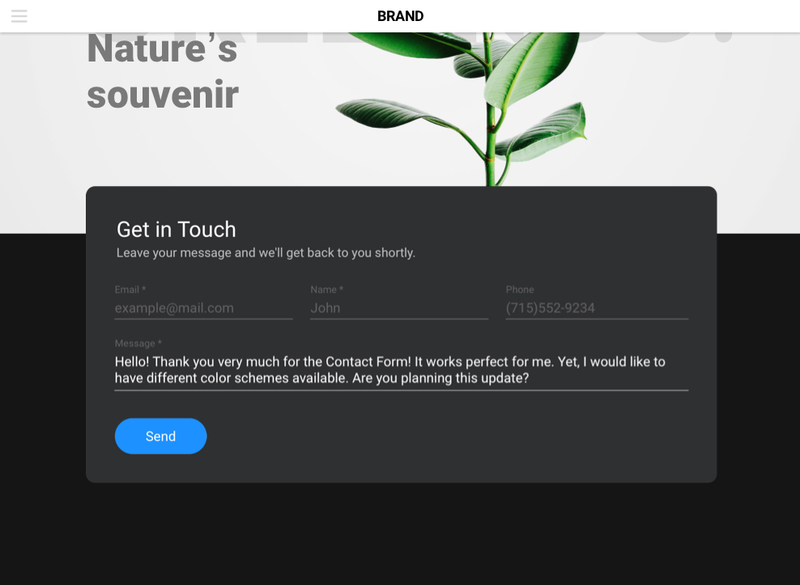 With the help of handy templates, flexible design and individual «Thank You» messages, you demonstrate to your users their importance for your business. Apply a tutorial created by our team, to integrate contact widget into your website. You will not need competence in development for these. Average installation time is near 70 seconds. Right in our demo, use settings options to create your personal Contact Form plugin. Receive an installation code to add the widget on your site. Insert the code into the desired page or the website template. Done! It’s up and running now on your site. Find yourself in need for help in installation or adjustment? Having problems with our Contact us form widget for iFrame site? Our customer support will provide all necessary help. Get your iFrame Contact Form absolutely free! Easy demo for getting a necessary plugin only in 70 seconds!